We’re delighted to have received over £100,000 in clothes bank donations with BIU Group. Great Western Air Ambulance Charity (GWAAC) have worked in partnership with BIU Group since August 2012, with over 50 clothes banks across our region collecting donations. 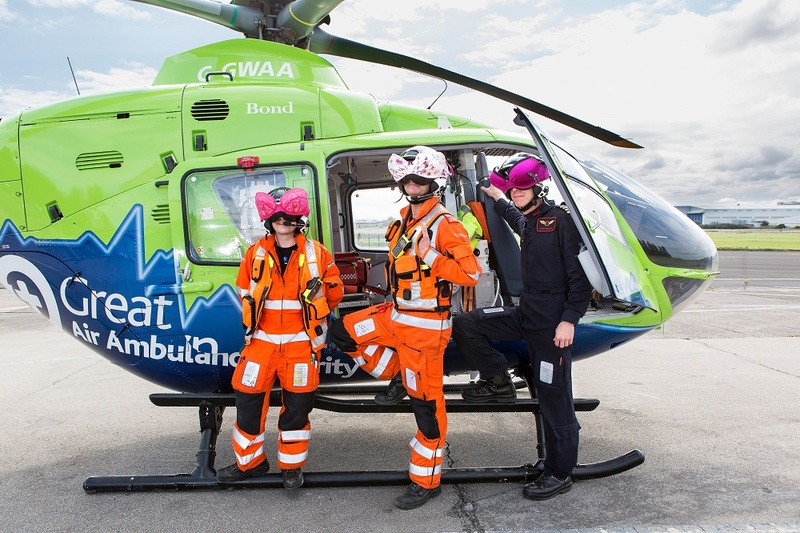 In February this year, the amount raised hit £100,000 thanks to the generosity and support of local people using the dedicated GWAAC clothes banks to dispose of their unwanted clothes, shoes and household textiles. 2018 was the busiest year to date for GWAAC, with our crew attending 1,887 missions across the region, providing pre-hospital emergency care to patients at the scene of a critical incident or illness, giving them the best chance of survival before they reach the hospital. Despite the increasing demand for our service, we receive no day-to-day funding from the government or National Lottery, relying on the support and generous donations from the local community to raise the £3 million needed to stay operational each year. With clothes banks located throughout GWAAC’s operational area including supermarkets, pubs, community centres and churches, any unwanted clothes, bed sheets, or other household textiles that are donated make a huge difference to the charity. All items collected are sold to organisations around the world who sort and sell the clothes or recycle them into other uses, such as mattress filling. To find out where your nearest clothes bank is, visit www.biugroup.co.uk/banklocator. GWAAC are also looking for more organisations who can support us by having a clothes bank in their grounds for members of the public to donate. If you would like more information, please contact the BIU Group on 01422 418618 or email gwaac@biugroup.co.uk.